For maximum performance and fuel efficiency, the HL960HD wheel loader is powered by a Tier 4 Final Cummins QSB 6.7 engine, producing 222 net hp (166 kW) and 1,070 lb-ft of torque at 1,500 rpm. This compares to the tuning of the same engine on the standard HL960 model that delivers 770 lb-ft of torque. Equipped with a standard 4.3 yd3 (3.3 m3) bucket, the HL960HD wheel loader has a standard operating weight of 44,092 lb (20,000 kg) and a rated tipping load of 31,691lb (14,375 kg). An extended reach version is available, designated as HL960HDXT, featuring longer lift arms that provide approximately 16 inches (406 mm) of additional dump height and reach. 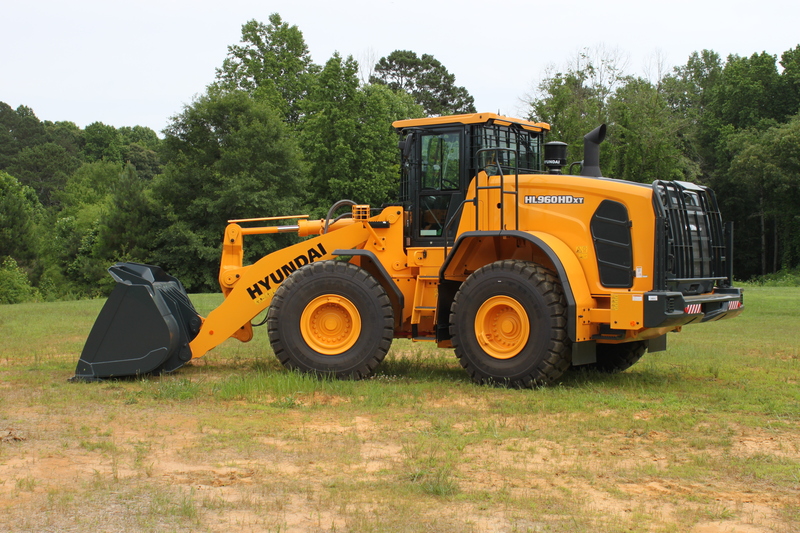 The HL960HD includes all the standard features – built into every HL900 series wheel loader –that combine to provide customers with an edge in performance, convenience, serviceability and safety, Parker noted. Hyundai also includes five years of free access to its HiMATE remote management system which provides a variety of remote monitoring and diagnostic capabilities.